Create an intimate environment with low clusters of lush blooms in a variety of interesting containers. Get more flower ideas here! 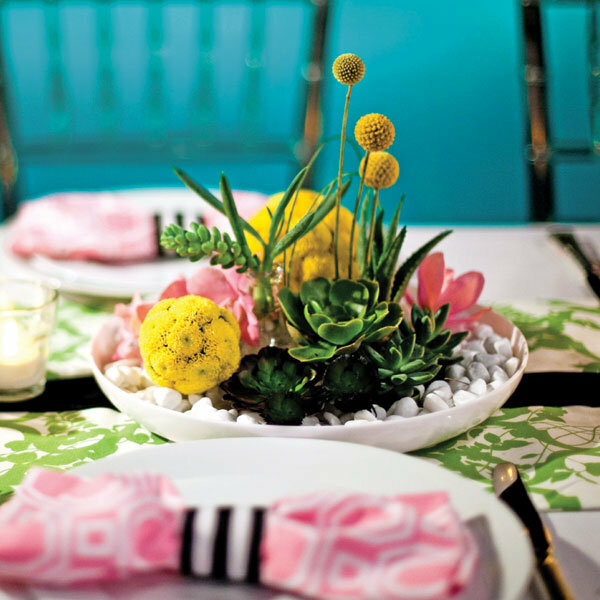 Types of Flowers: A bed of white rocks topped with dandelion balls, pink orchids, and succulents.